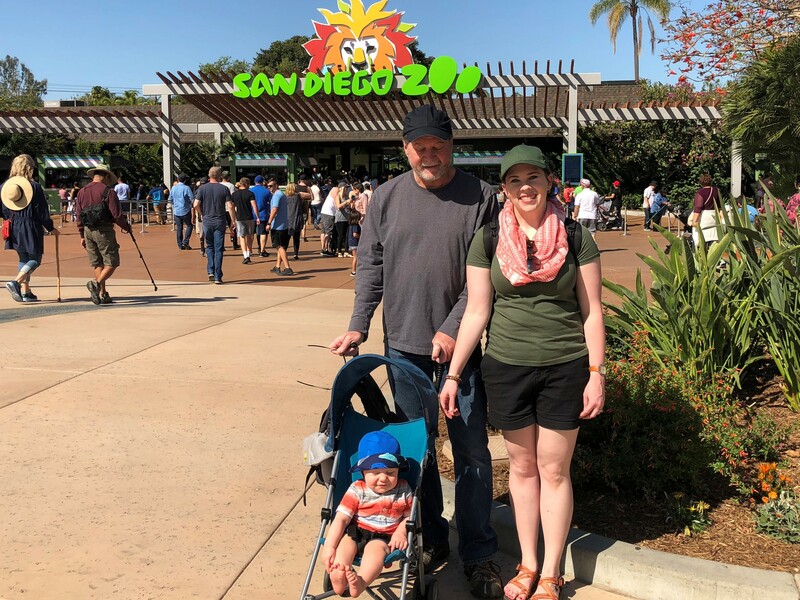 Again, this is the third part of my blogs on our April travel adventures for more see April Travel: Downtown LA and April Travel: Baby Shower and First Flight. We met up with Luke on Friday night in San Diego. 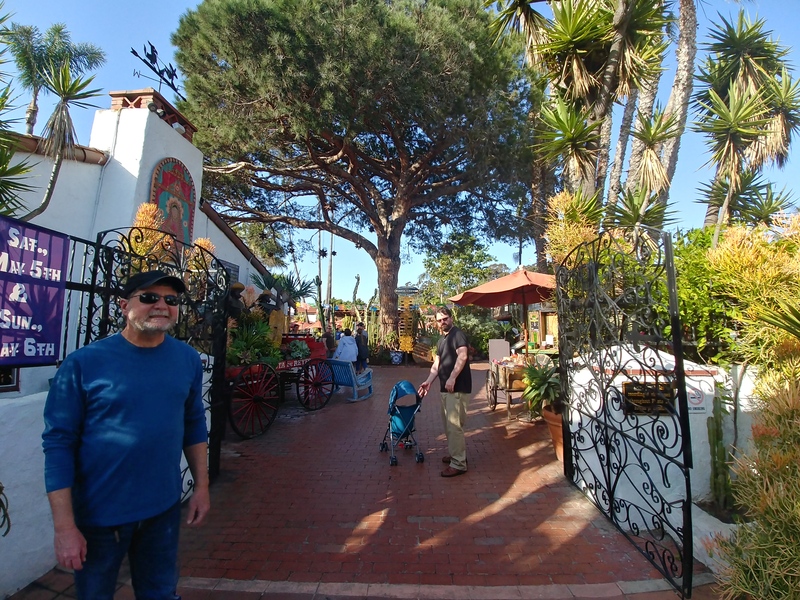 My parents took us to Casa De Reyes which has become their favorite stop for food in Old Town. 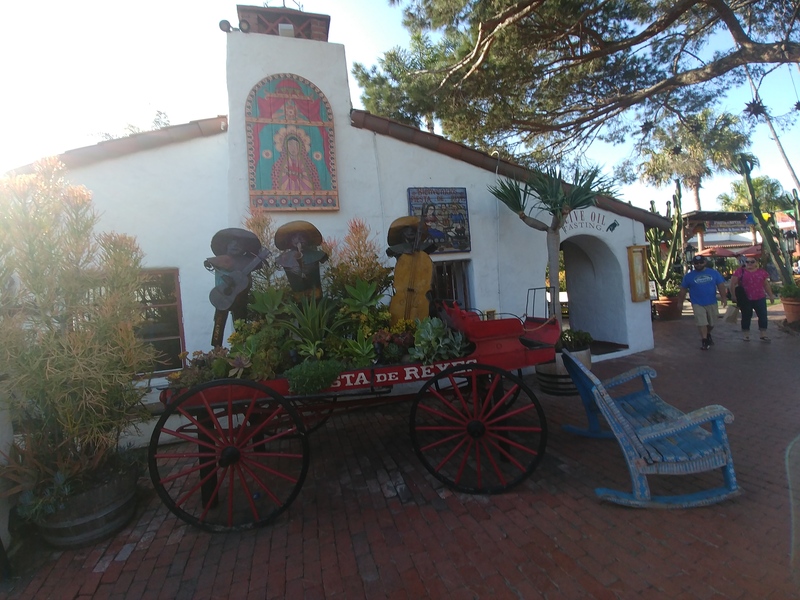 It was a beautiful balmy day and we sat outside in the courtyard taking in the sun before it set eating amazing Mexican food (the prawn enchiladas were amazing). Zach was very happy to spend time with his Dad after being away for almost a week. We walked around the shops, enjoying the evening entertainment. When it got dark we exchanged a few items, said goodnight, and took the lighttrail to our hotel in the Gaslamp District. 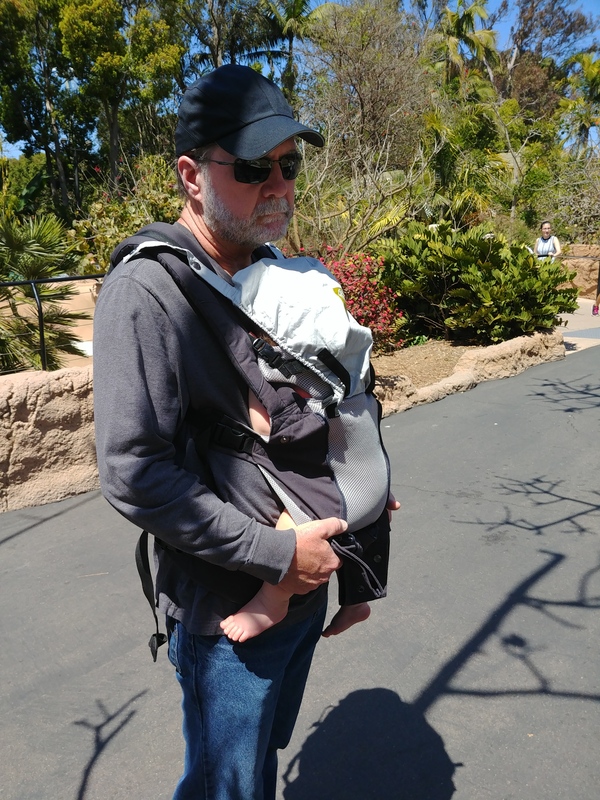 The next day Luke at his conference all day so my Mom, Dad, and I took Zach to the San Diego Zoo. 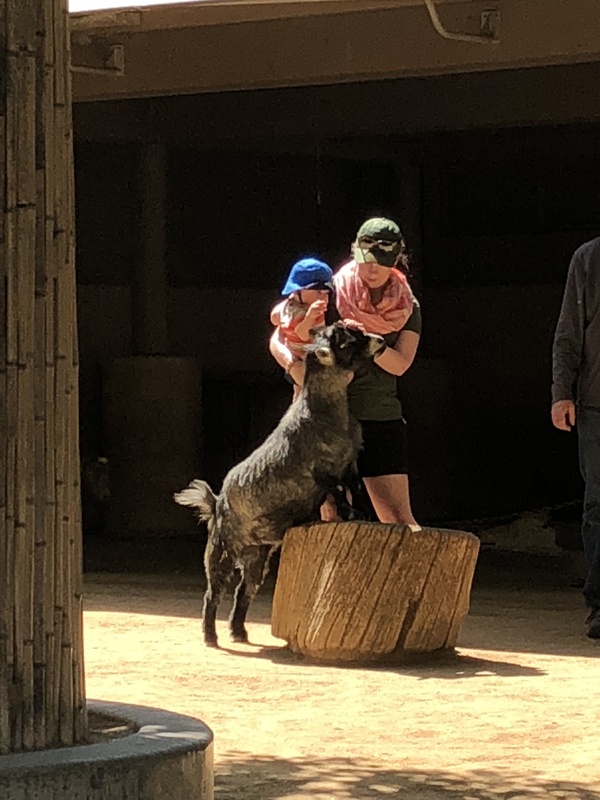 This Zoo holds a lot of memories for our family. 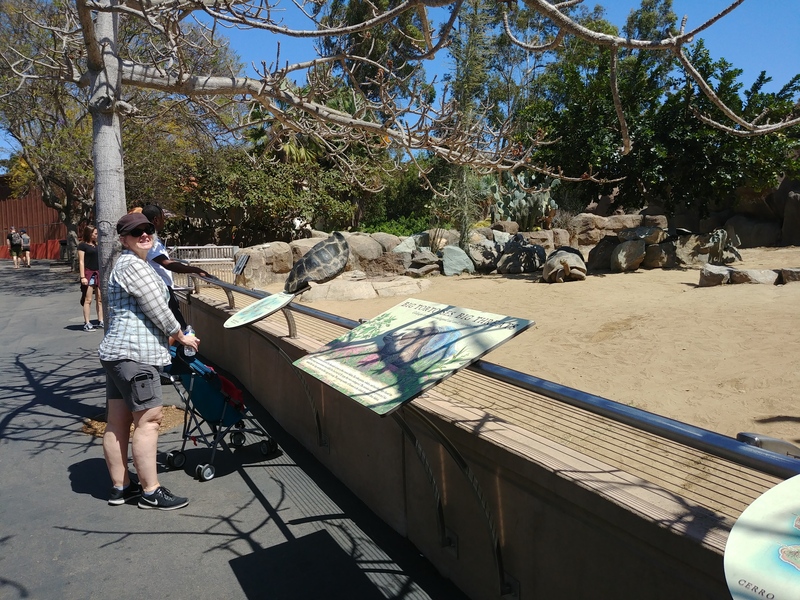 I went there several times as a child and Luke and I went to this zoo as our last date right before our wedding. 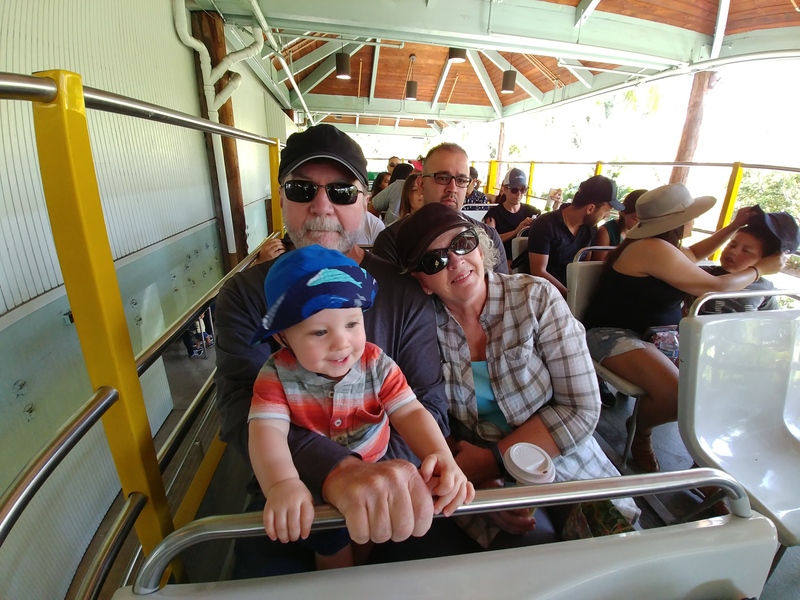 We started our Zoo adventure with the tram ride and saw what was new since we’d been last (Africa Rocks). 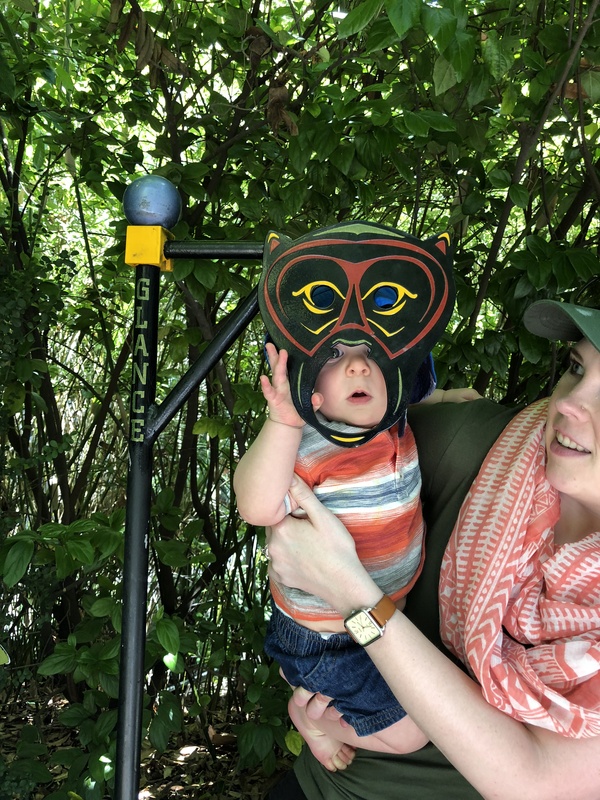 Then we explored the aviaries and rainforest trails on our way down to our lunch stop. 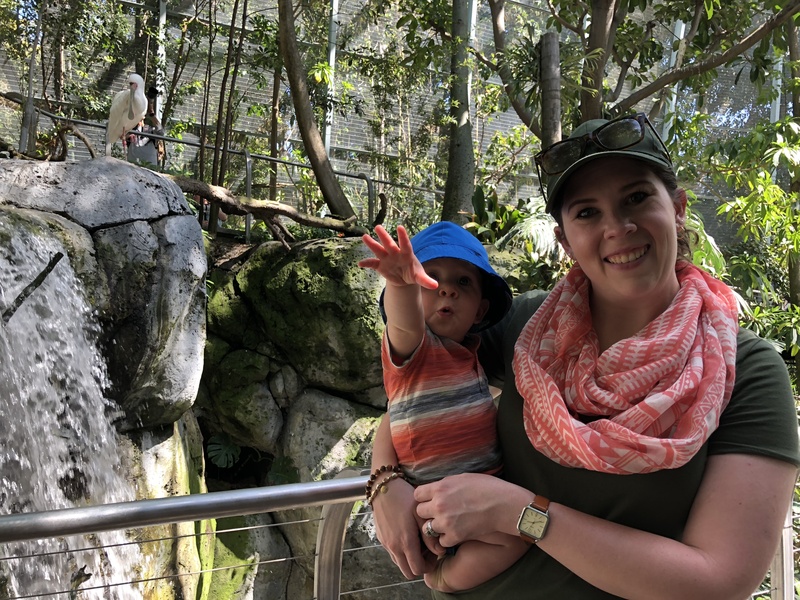 Zach loved the spider monkeys and colorful birds. 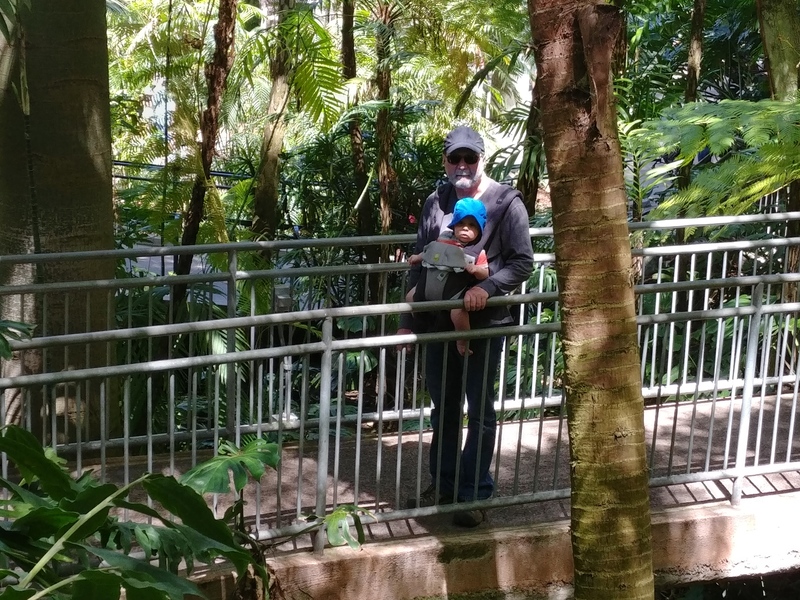 The waterfalls also caught his attention, hopefully he will see some REAL ones soon. Zach took a nap while we explored the reptiles and reptile house after lunch. 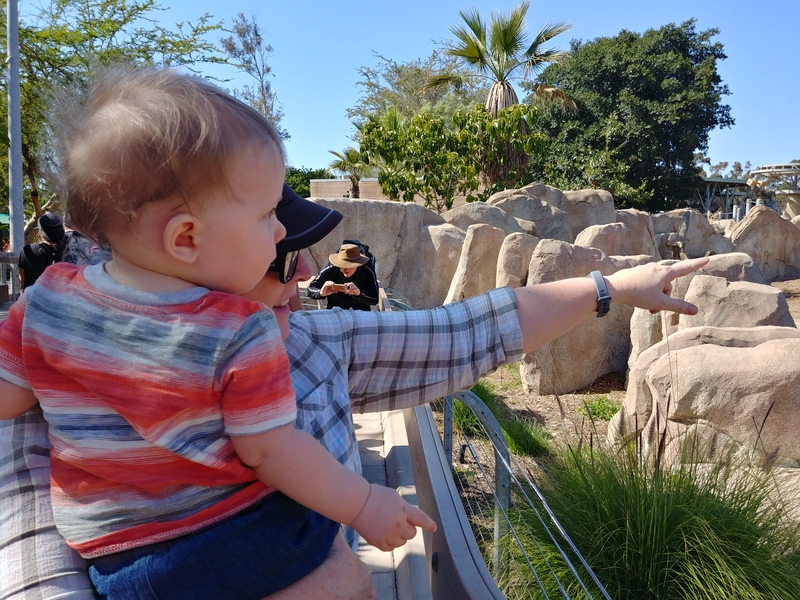 Then later in the afternoon when he woke up we saw the big animals starting with the Hippo and baby Hippo, which Zach really didn’t see all he could see were the fish. 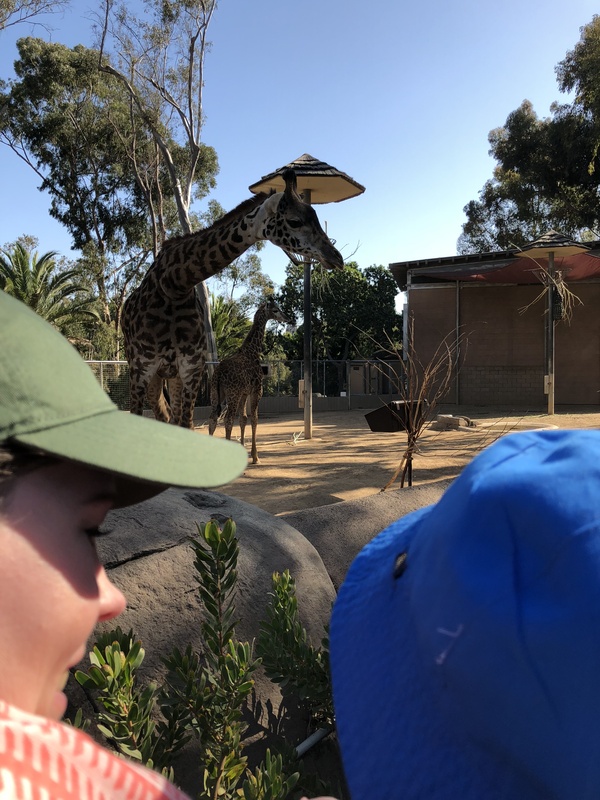 We looped around to end the day looking at the Elephants and Lions, then took the Kangaroos tram down to the Giraffes and Kangaroos. 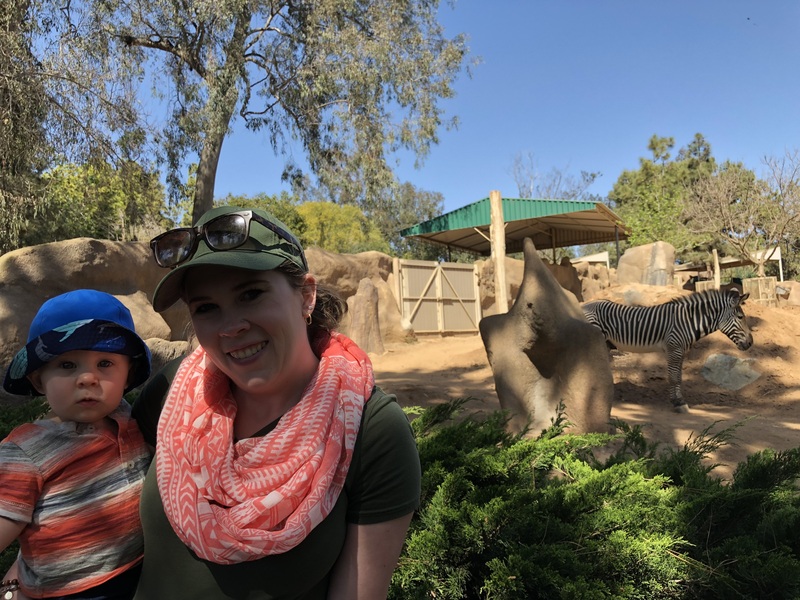 But Zach’s favorite: the Zebra. 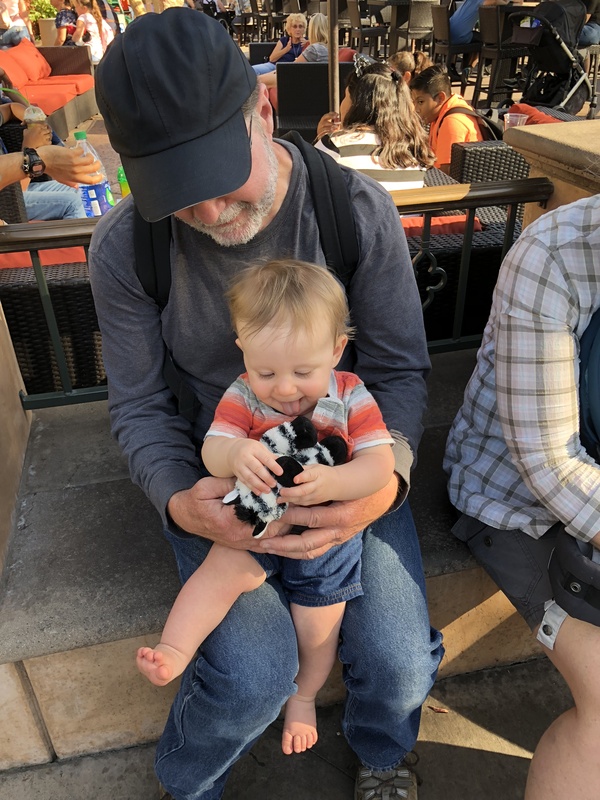 He noticed the Zebra all the way from the tram ride so we went back to let him see him again. 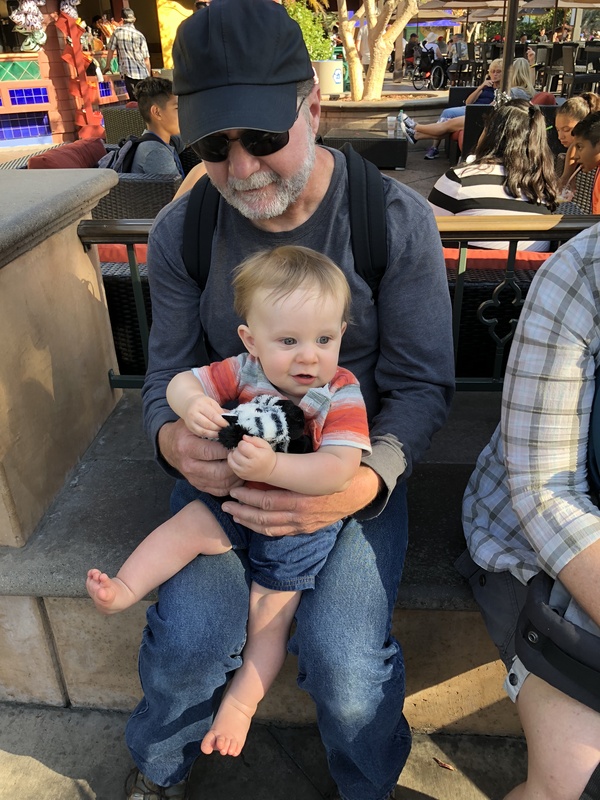 Whether it was the black and white stripes, or the fact that it’s the only animal that starts with the same letter as his name, he loved the Zebra. 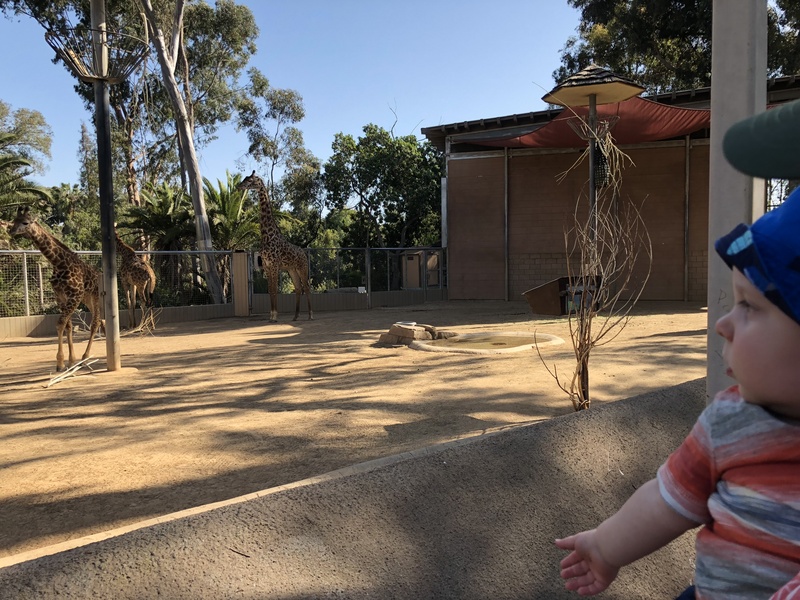 When I went to this Zoo for the first time my parent’s got me a small stuffed giraffe because there was a baby giraffe then and I really enjoyed it. So we got Zach a small stuffed Zebra before we left, and he loves it. 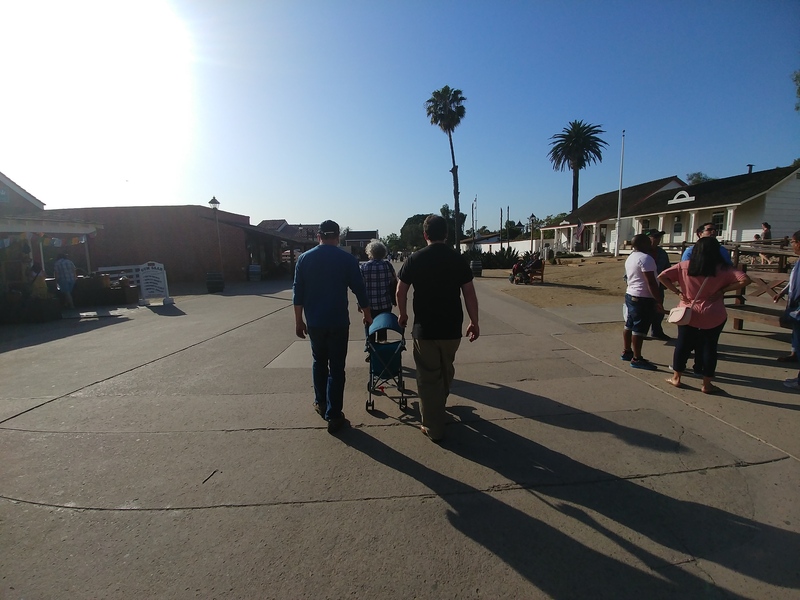 We got back in time for Luke, Zach, and I to go out for dinner, we ended up going to Rockin Baja Lobster which was great. They had a salsa and chip bar and the three of us enjoyed a lobster bucket for two (Zach ate the chicken and beef that came with it). 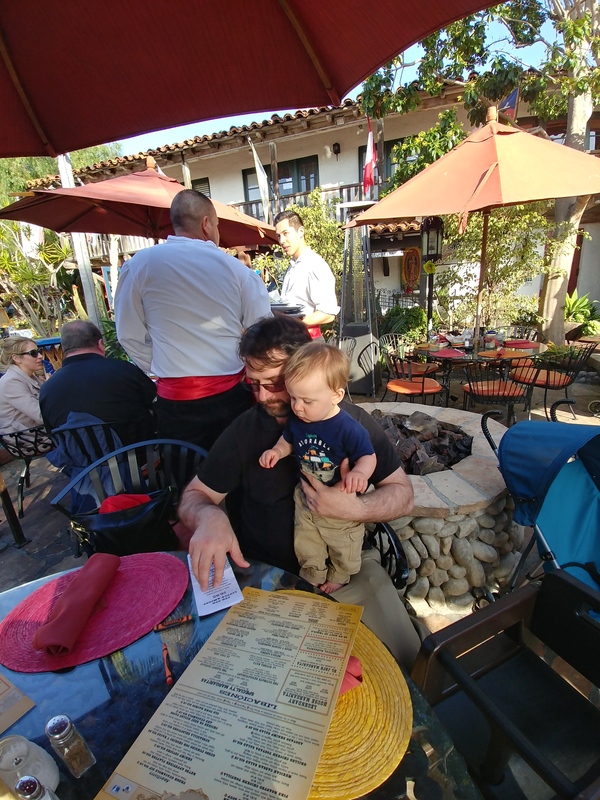 It was a great celebration meal for our first spring vacation as a family.